Show's creator says series' success helps confirm existence of an ignored market. For Caytha Jentis, the honor of being invited to serve as a Massachusetts Conference for Women panelist after one attention-grabbing season of her digital series further validates her long-held conviction that, despite Hollywood claims to the contrary, there is a huge demand for programming geared to women over 40. It was just announced by Amazon that Season One of The Other F Word was awarded an Amazon Video Direct Stars bonus for the month of October as one of its top titles. The show premiered on Amazon September 3rd. "I call it the Power of Mom," says Jentis as she breaks for a few minutes from writing the second season of The Other F Word, her comedic series anchored by a stay-at-home empty nester whose husband, finding himself thrown into his own mid-life crisis, suddenly leaves to join the Peace Corp. With even more streaming minutes under its belt in November, The Other F Word is on track to be a top title for that month as well. "The F originally may have stood for forty or even fifty, but it's come to be more about the female friendships that is the core of the show," she adds. While truly unique in its own right, The Other F Word is part of a growing movement of film, television and digital content targeted to this market. Other similarly targeted projects include the Netflix series Grace and Frankie, the TV Land series Younger, and the recent film Bad Moms, which surprised Hollywood analysts by topping $140 million worldwide. According to Jentis, the ongoing success of The Other F Word is also fueled by word of mouth. "Influential bloggers have picked up on how well TOFW hits home, and their reviews have resulted in almost six million page views," she reveals. "And our one-hour Twitter chat rivaled those of Hollywood-backed studios with more than 52.5 million timeline deliveries and a reach of 9.29 million." Jentis says that while the show is geared toward the forty-plus empty nester, it has also gained a following among moms with younger children and millennials who relate to the show's secondary characters and the universal themes. "That's where the Power of Mom comes into play," she explains. "Women drive close to 80 percent of consumer spending, especially moms born between 1946 and 1964. It's a group advertisers and content providers really can't afford to ignore." With the success of projects such as The Other F Word, Jentis is confident that marketers and Hollywood is starting to get the message. Jentis adds “Similar to Facebook, I believe the audience for web series will trickle up as well." 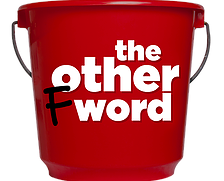 Season one of The Other F Word cast members Steve Guttenberg, Judy Gold, Stephanie Little, Reiko Aylesworth, Ben Bailey, Michael Boatman and others. Jentis will appear at The Massachusetts Conference for Women in December along with such notables as Gayle King, Anita Hill, and Sara Blakely. She will participate in a panel about transitioning back to work.